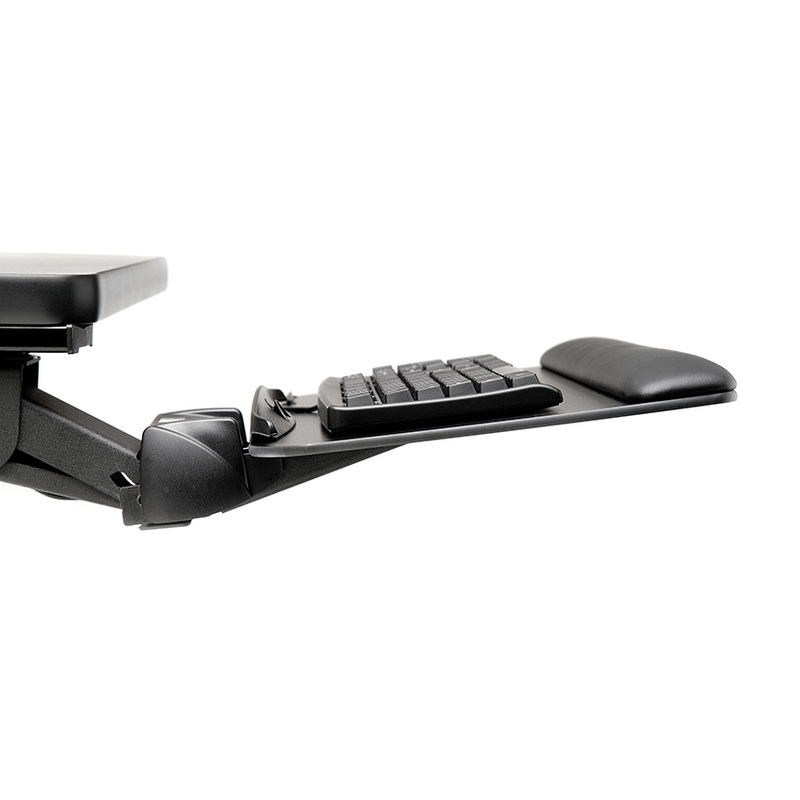 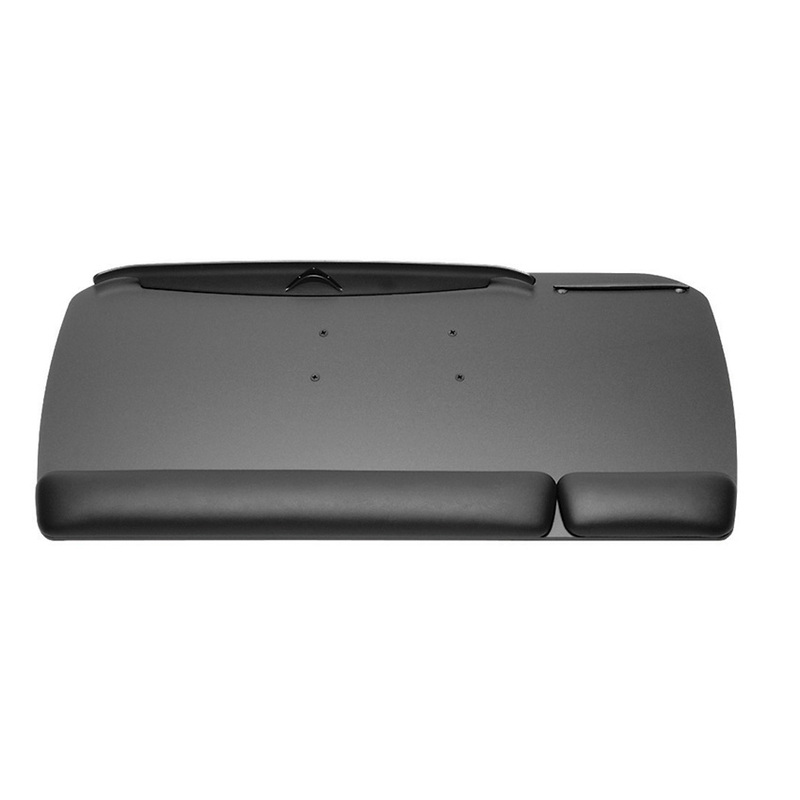 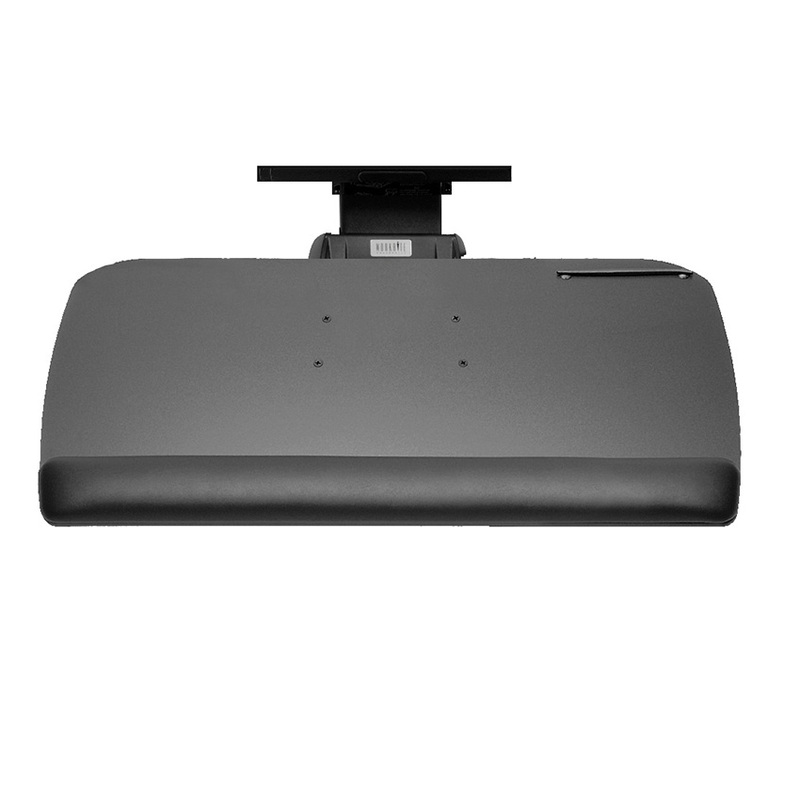 The Standard keyboard tray system features a simple in-line mouse design that is intended for use in straightaway work center applications. 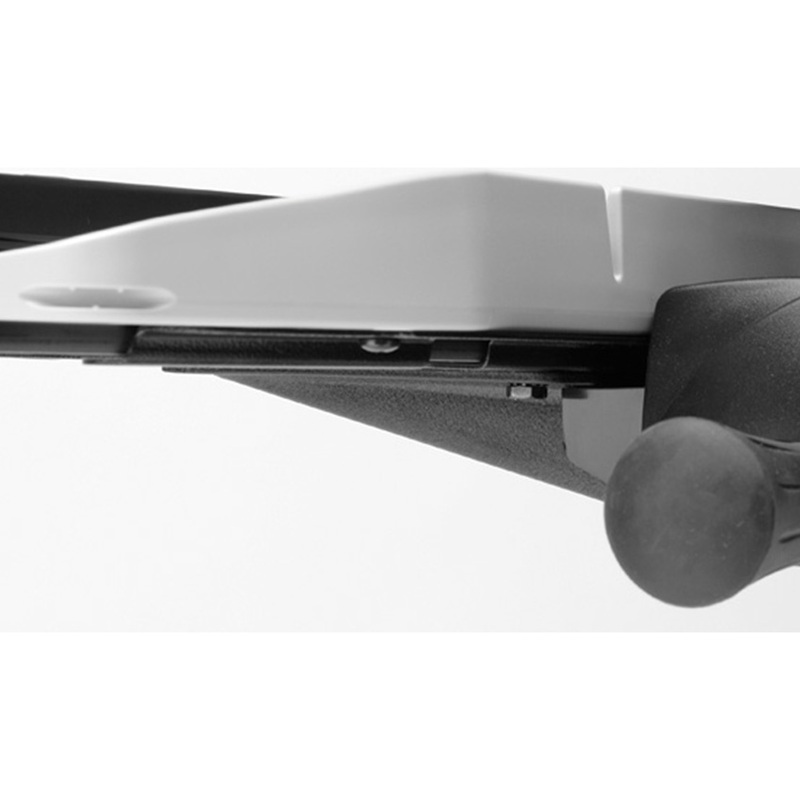 The in-line design makes it possible to easily switch the keyboard and mouse configuration to accommodate left or right handed users. 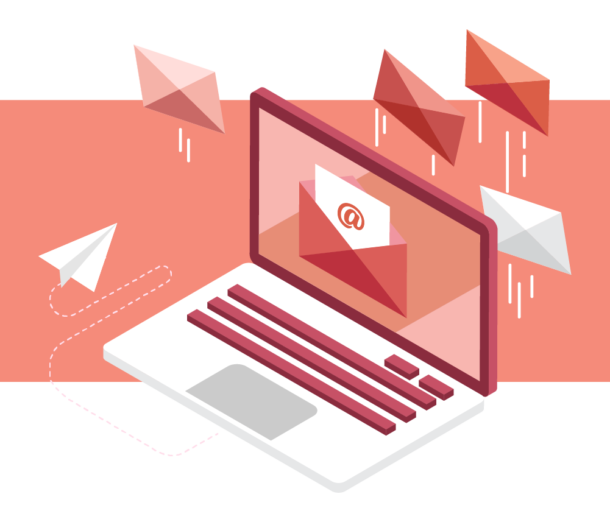 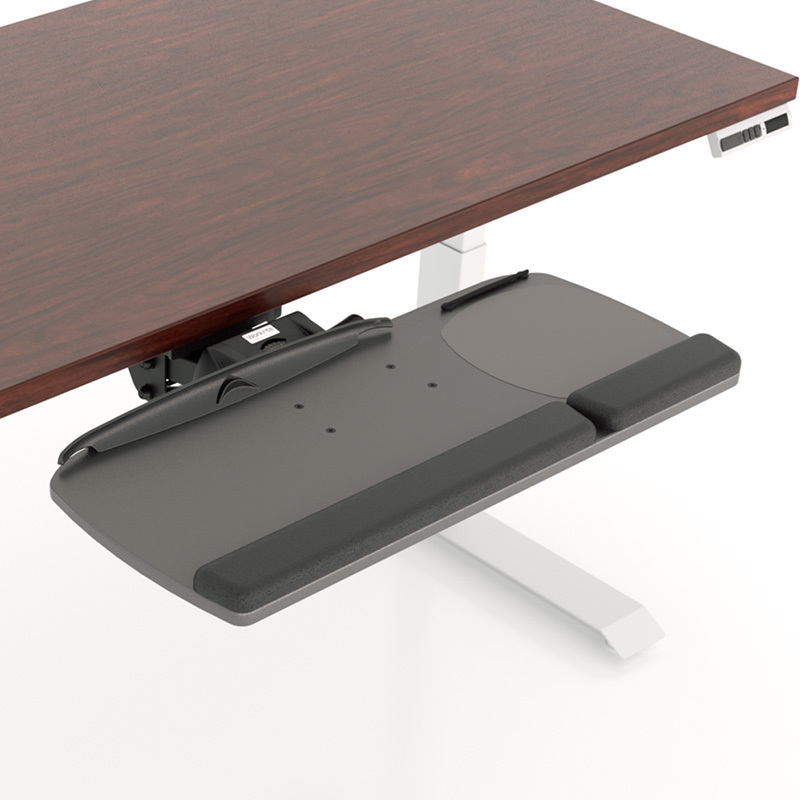 The Standard platform system is available as a solo platform or as part of a complete system that includes our Pinnacle 2 Value keyboard arm with smooth operating nylon glides and 17″ or 22″ tracks. 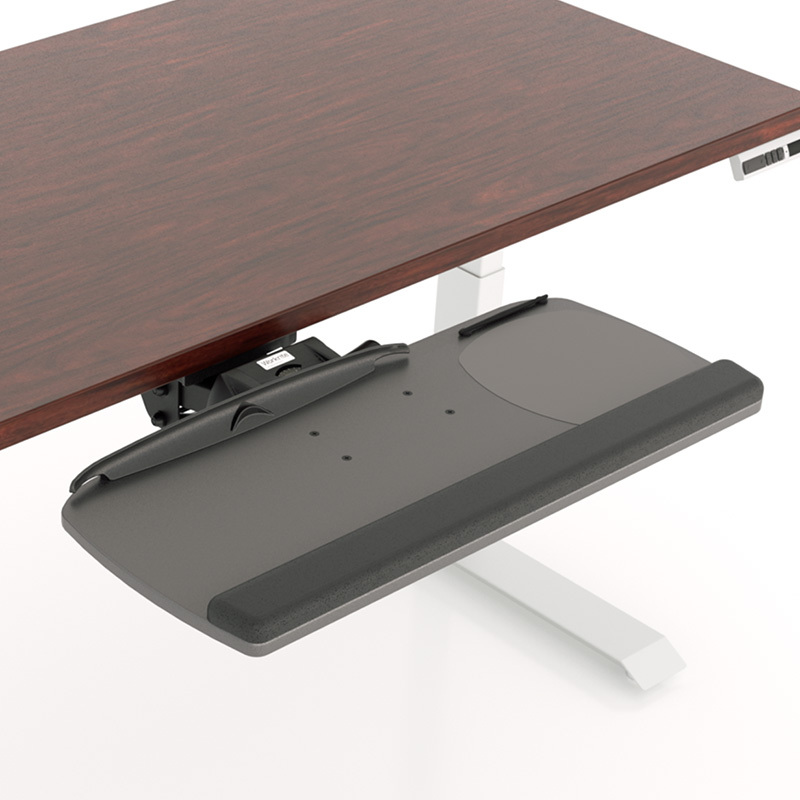 The platform is constructed from durable .625″ melamine and features a built-in document holder and cable manager.